"Being noisy must just come naturally to us." 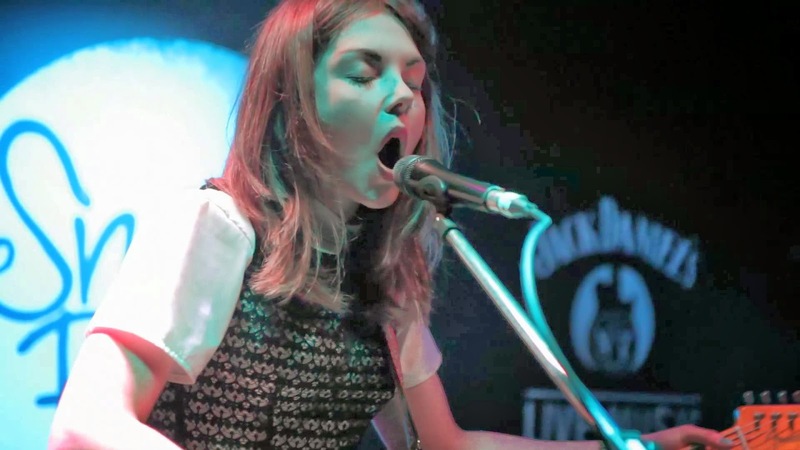 Glasgow's Honeyblood have been making my Batsenses tingle for a couple of months now, thanks to their jangly, catchy indiepop single Bud, which came out late last year. 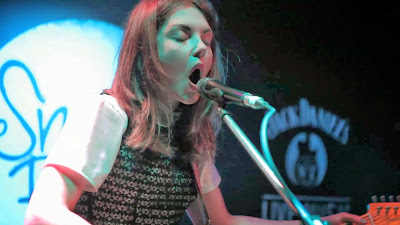 They are Shona McVicar (drums) and Stina Tweeddale (guitar and vocals, pictured above), veterans of the Scottish rock scene, who quit their former, male-dominated bands to form a sort of Testosterone-free White Stripes. "We'd been in bands with boys before and wanted to do it on our own," Stina told MTV last year. "There's definitely a solidarity amongst female bands because there aren't many of us around really! But at the same time it's totally about what kind of music they're playing; if they're good, that's all that matters at the end of the day." Luckily their music is the good sort of music - grungy and lo-fi but decorated with actual tunes. Exactly the sort of thing, in fact, most rock bands lost the knack of doing somewhere around 2004. Bonus content: Here's a captivating live rendition of Bud recorded in one of the BBC's many cupboards.